On Sunday, June 9th, 2019 at 10:30 a.m., the Los Angeles Anarchist Black Cross will host a 5k run / walk / jog / bike at Echo Park Lake, in downtown Los Angeles, CA. This event is designed to raise much-needed funds for the ABCF Warchest. ABCF Warchest: The ABCF Warchest program is now almost 25 years old; funds for the Warchest are divided and distributed through monthly stipends to political prisoners who receive little or no financial aid. Prisoners use this money to cover the basic necessities of everyday living. Funds have been used by prisoners to pay for stamps, shoes, clothes, as well as assisting their families with what little they can. 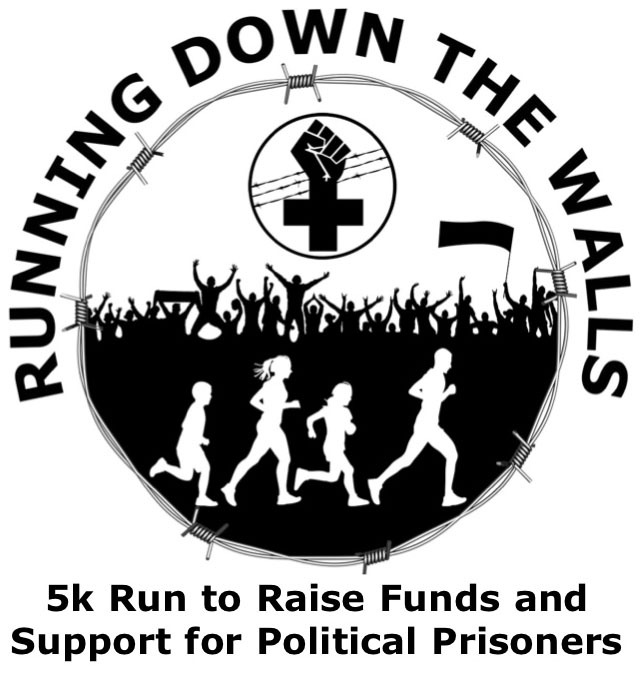 Every year, prisoners and supporters of political prisoners organize solidarity runs with Running Down the Walls (Los Angeles). These runs have been organized in various cities and prisons across North America and we are hoping to expand the act of solidarity worldwide. 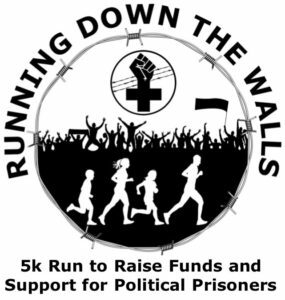 We have raised thousands of dollars for the ABCF Warchest and various local organizations and hope to use this event to not only build awareness about the plight of political prisoners but continue to raise funds for ongoing projects and prisoner support. The Warchest program was created in November of 1994. Its purpose is to send monthly financial support to Political Prisoners and Prisoners of War (PP/POWs) who have been receiving insufficient, little, or no financial support during their imprisonment. Since its inception, the Warchest has raised over $120,000 with all the money going directly to those behind the prison walls. We must remember that many of those arrested in the past or present are not far from us. Many of them were and are community and labor activists, queer, and environmental activists; people who decided to speak out against various forms of oppression and paid the price of their freedom for their actions. We must remember that any one of these people could have at one time stood beside us in a demonstration, at a speak-out, or even at an organizing meeting. At any given moment it could be us who finds ourselves in this situation, so it is imperative that we ensure that a strong enough community of support exists for these people as well as ourselves. The strength of our movement is determined by how much we support our fallen comrades. As the Anarchist POW Ojore Lutalo says it, “Any Movement that does not support its political internees, is a shame movement.” So please help us, help them! Help us, help you! Be a runner: We are asking people or groups who are running to collect as many sponsors for the run as possible. Remember the money received is going to help imprisoned comrades who need your help. The person who collects the most amount of funds will be given a prize for their involvement and dedication to helping our fallen comrades. CLICK HERE to register. Sponsor a runner: This can be done through a flat donation to the runner of your choice. We ask from those who wish not to run to actively support those who are running in hopes of collecting as much for our comrades as possible. Sponsor Running Down the Walls: Any amount helps. Contact the Los Angeles Anarchist Black Cross if you wish to simply donate money to the cause.